The Red Carpet Skin Therapy range from Temple Spa is a collection of high performance make-up, aimed at making long-lasting improvements to your skin whilst adding a glamorous touch to your look and style. In this guide, we’ll be taking you step by step through using the Red Carpet range effectively to get that sophisticated Hollywood look. Each product in the range is perfectly suited for attaining that elegant everyday glamour, or preparing yourself for a big event with all eyes on you. 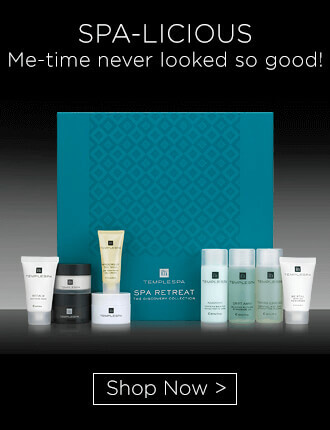 You’ll be lighting up the room with the instantaneous and long term benefits of the Red Carpet range from Temple Spa. Our tips from getting the most from our collection are courtesy of professional make-up artist John Gustafson, an expert on skincare and beauty. The Big Reveal is an exfoliating peel and the perfect starting point for revitalising dull skin. Unlike most other peels, The Big Reveal is very well suited for sensitive skin and formulated to cause no irritation or redness, so you can use it before a big night out with peace of mind. 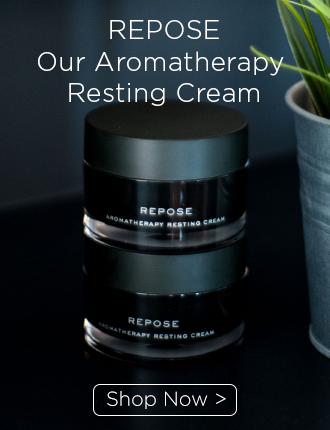 It is made using naturally derived ingredients such as Glycolic Acid which triggers cell regeneration, Raspberry Oil which is fantastic for the skin as it’s loaded with essential omega oils, and Red Clover extract to boost depleted estrogen levels. Start with 3 pumps on the finger tips and gently apply to the face whilst avoiding the sensitive eye area. 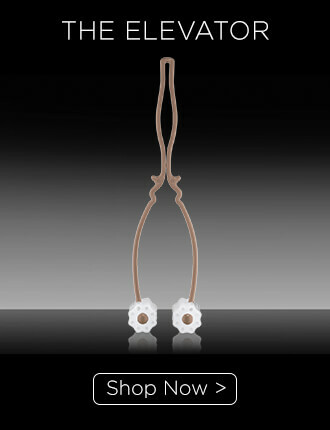 You’ll notice the skin is instantaneously lifted and a further 3 pumps will also take care of the neck and chest areas. Once the peel is applied, wait for around 1 minute before very softly peeling it away by creating a circular motion with your fingers. After you’ve successfully removed the peel, you can wash the rest away using a warm flannel. 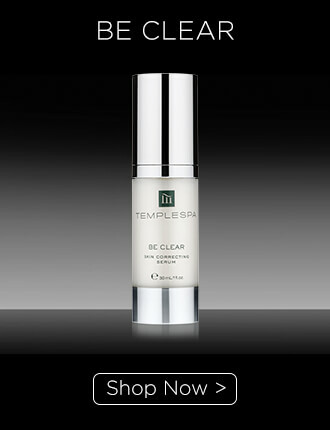 As with all Temple Spa products, you’ll notice the changes right away. We recommend finishing off using the Temple Spa moisturiser of your choice to soothe the skin and prepare for the next step. For your next trick, the contourist is a disappearing act for wrinkles and dull skin. Unwarp and unfold the mask and place onto your forehead, then smooth over nose and cheeks. Insert your fingers through the top holes and stretch outwards hooking over each ear. Now to really feel that lift, do the same for the lower part of the mask, stretching up and over the jaw line, hooking over the ears again and feel the hug around the jaw and chin and the face lift. Leave on for 20-30 minutes and keep facial movements to a minimum. Maximise your facial remodelling with the elevator during the first and last two minutes to drive the serum deeper into the skin or massage with your fingertips upwards from jaw into hairline. Hailed as one of the most effective instant line fillers on the market, Its All A Blur is perfect for filling in facial lines and wrinkles, pores, and minimizing crow’s feet. Once you’ve cleared away lifeless skin, you’ll only need a very little amount to accomplish this, either concentrated directly to problem areas or applied over the entire face. You’ll want to gently blend it into your skin with your finger once applied, slowly filling in lines and pores until you’ve noticed an immediate reduction. It’s all a Blur is a double action solution, aimed at filling in lines short term and reducing them completely over a longer period. This is accomplished using a combination of new advanced ingredients alongside Red Clover extract, which is frequently used to treat burns and skin irritation. It can also be applied both over and under make-up. The first new ingredient is AuraSphere, which is clinically proven to reduce lines and pores. The second is Matrixyl, which is effective for the reduction of wrinkles and crow’s feet over a continuous period of use. The skin is now primed and ready for the next step Look On The Brightside which is an instant radiant boost agent, similar to how you’d use a tinted moisturizer if you needed a luminous quick fix for problem areas of the face. Look on the Brightside is available in a universal shade and suitable for every single skin-type. Before you start, look in the mirror and observe the areas in which the light naturally catches your face such as your cheekbones. Put your finger over the tip of the bottle and tip it upside down to get just the right amount on your fingertip, and then gently start dabbing it onto the skin. Once applied, blend it into the rest of the skin using a gentle patting motion. Look on the Brightside is also perfect for the arms, neck, chest and legs. A key ingredient in Look on the Brightside is Hydroviton, which acts as a 24 moisturizer and keeps the skin vitalised and refreshed throughout the day. 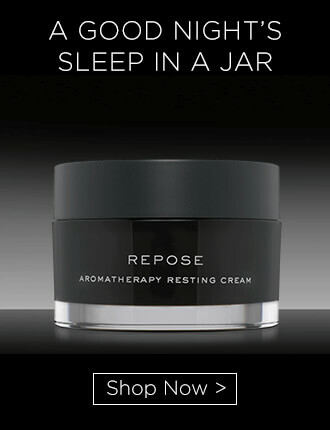 It is also very commonly found in the Temple Spa anti-aging range. In addition, it is infused with ginger and mint to leave your skin feeling naturally refreshed. You’ll only need one click of concealer for these purposes, which is then dispensed onto a professional make-up brush included in the case. For reference, always aim for a concealer that is a shade slightly lighter than your own skin for the best results. Gently apply the concealer using the brush underneath the eye, starting from the inside corner and moving outward and then over the top of the eye. Follow a simple ‘paint and pat’ pattern by applying concealer onto the desired areas and patting it down with your finger. Glint also works well as a contouring product, and is highly effective for highlighting the eyes, cheekbones, nose, upper and lower brow, and upper chin area. Simply apply the concealer and use your fingertips to blend it in a soft rolling motion. Now you can apply the make-up of your choice to finish off. 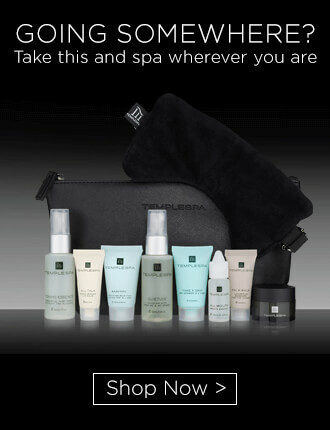 Find out more about our RED CARPET COLLECTION here or Tweet us @TempleSpa to give us your thoughts.